All-new Honda Odyssey priced from $29,990 (INR 19,46,210.05). The 2018 Honda Odyssey debuted at the North American International Auto Show in January and Honda began production of the minivan last month. 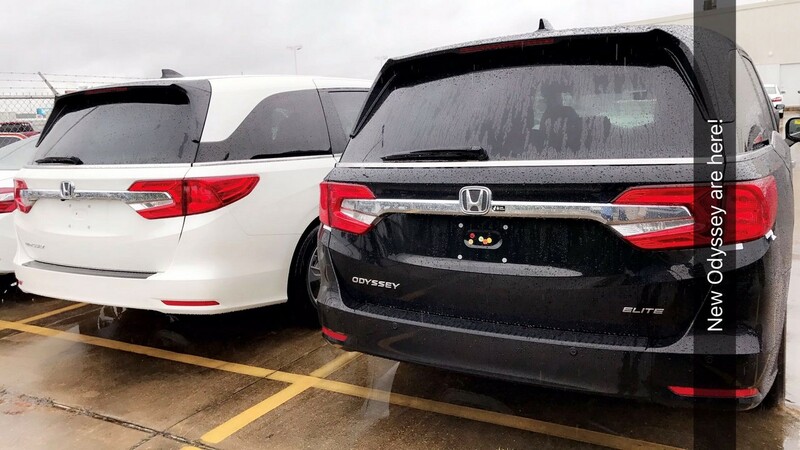 In the latest, images published by HondaPro Jason reveal that the 2018 Honda Odyssey has started reaching dealerships in the USA. The 2018 Honda Odyssey's 3.5-litre i-VTEC naturally aspirated V6 petrol engine develops 280 hp and 262 lb.-ft. (355.22 Nm) of torque. The fourth generation Honda Odyssey is the latest model from the Honda Trucks division, primarily targeted at North America. The redesigned Honda Odyssey shares the Global Light Truck Platform with the Honda Pilot, Honda Ridgeline and Acura MDX. Compared to the previous generation, it is up to 96 pounds (43.54 kg) lighter. Under the hood rests the 3.5-litre i-VTEC naturally aspirated V6 petrol engine that produces 280 hp at 6,000 rpm and 262 lb.-ft. (355.22 Nm) of torque at 4,700 rpm. Transmission choices include 9-speed automatic and 10-speed automatic. LED headlights, LED fog lights, 19-inch alloy wheels, LED tail lights, ambient LED lighting, 12-way power adjustable driver's seat with 4-way power lumbar support, 4-way power adjustable front passenger's seat, 8-inch Display Audio (HD) touchscreen infotainment system with Apple CarPlay, Android Auto and satellite navigation, 10.2-inch rear entertainment system with Blu-Ray player and 550-watt audio system with 11 speakers, including subwoofer, are the key equipment of the new generation Honda Odyssey. 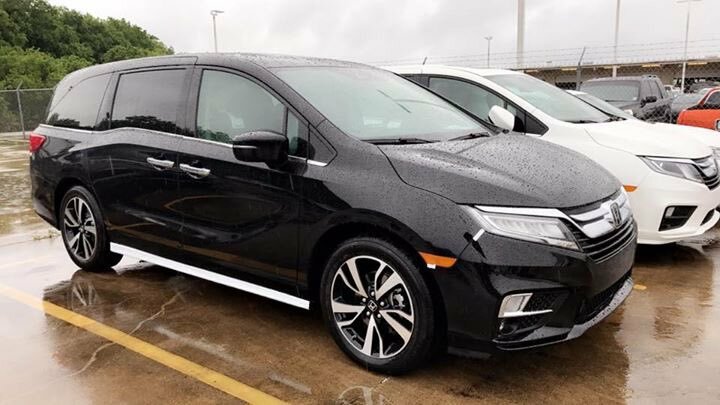 The 2018 Honda Odyssey is loaded with a number of safety and driver assistance technologies, including Collision Mitigation Braking System, Road Departure Mitigation System, Forward Collision Warning, Lane Departure Warning, Lane Keeping Assist System, Adaptive Cruise Control and Blind Spot Information System with Cross Traffic Monitor. The 2018 Honda Odyssey is available in LX, EX, EX-L, EX-L Navi/RES, Touring and Elite grades. The 2018 Honda Odyssey is available in LX, EX, EX-L, EX-L Navi/RES, Touring and Elite grades, with prices starting at $29,990 (INR 19,46,210.05). The all-new Odyssey is manufactured at Honda's Lincoln plant in Alabama, USA.